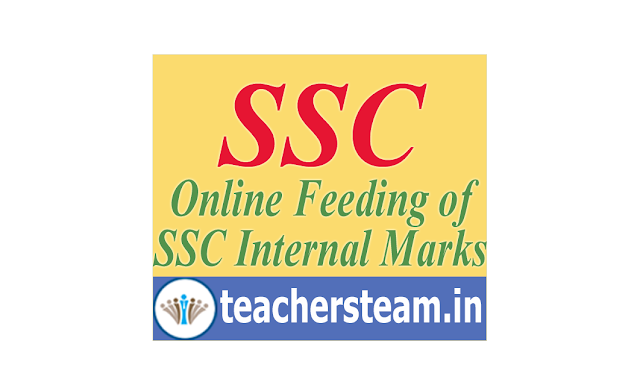 All the Head Masters of High Schools has to feed the SSC Internal Marks in DGE/Director of Government Examinations website. All the options for entry of SSC Internal Marks may be enabled for smooth way of entry in to the website by all the HMs. Head Masters must open the website www.bsetelangana.org website to feed the SSC internal marks of their schools. SSC students appear all Formative Tests which are conducted in schools as per the time table given in the academic calendar. Now Average value of the secured marks of Formative Tests may be considered for calculation of SSC Internal Marks. A Detailed guidelines on How to Enter SSC internal marks is issued by the Director of Govt Examinations, Telangana, Hyderabad to all the Head Masters. HMs must carefully understand the guidelines issued for online feeding of SSC Internal Marks before going to feed online. The close monitoring of the Headmasters concerned, other wise they will be personally held responsible. Similar exercise has to be done by the Headmasters in respect of posting of subject wise marks on the cumulative records. The Headmasters may obtain the signature of individual teachers, if necessary, on the cumulative record also while duly affixing his signature on the record in taken of having verified the marks posted on the record. This completes the authentication of records The Headmasters shall take the subject wise and candidate wise average of the formative test marks thoroughly before posting of marks through Online. Once the confirmation is done in the Computer, the editable option will be closed once for all. Now take 3 printouts and authenticate the reports by affixing the Headmaster signature. Take the printouts along with the subject wise as well as cumulative records to the concerned Deputy Educational Officer / Mandal Educational Officers for further verification and authentication. The Deputy Educational Officers / Mandal Educational Officers will verify the printouts with reference to the Registers brought by the Headmasters and sign on the printouts in token of his verification/authentication. The Headmasters shall have to preserve one copy in their schools as a permanent record for future references and inspections. The other 2 copies will have to be handed over to the Deputy Educational Officer / Mandal Educational Officers. The Deputy Educational Officers / Mandal Educational Officers inturn will send one copy of the internal marks of all the Schools of his division to the District Educational Office on the scheduled date while retaining one copy with him.